I haven’t posted a Troublesome Pair for ages but I’ve had this one up my sleeve (erm, no, I haven’t, that would be disgusting!) for ages and hadn’t got round to posting it. With a Birmingham Cough going the rounds still, this seemed a seasonal post; my apologies to the more sensitive reader. It is a valid and troublesome pair, though! Mucus is the noun, i.e. the thing itself: slimy stuff that gets secreted by animals and even plants (it’s more commonly known as mucilage in plants, though mucilage is also, in general a viscous bodily fluid or secretion). Mucous is the adjective – so mucous membranes secrete mucus, for example. Bonus word: mucilaginous is the adjective that goes with mucilage. I bet you’re glad you asked, aren’t you! How do I add or remove auto captions in Word 2010, 2013 and 2016? The impetus for this post came from Ana Chavez, who emailed me to ask how to remove automatic captions that were appearing whenever she inserted a Table into Word. I couldn’t work out what was going on, and she kindly messaged me when she found out. Thank you, Ana, for your kindness in getting back to me! This post covers Word 2010, 2013 and 2016 for PC and the images are from Word 2013. The solution may differ with Word for Mac. 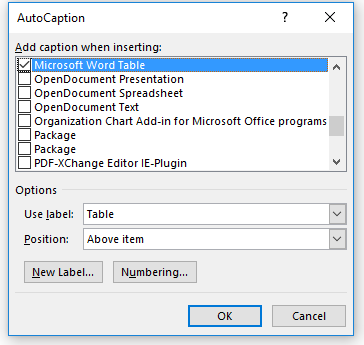 What is auto captioning in Word? Here, I have inserted a table and the beginning of a caption has already appeared. This is actually very useful, as it will remind you to add your captions and also sort out the numbering for you as you go along (you can make choices just as you do when inserting a caption manually – see this post for full information on that). However, my original question was about removing these – so this article covers both removing and adding auto captions. How do I add / remove automatic table captions? 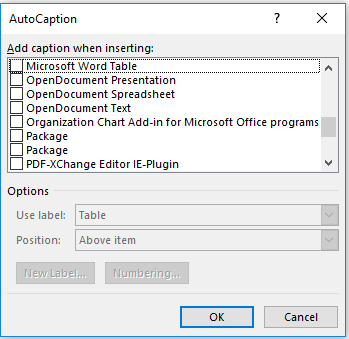 If you have found this article because you want to stop Word auto captioning, you will probably find one of these boxes ticked, and it’s probably Add caption when inserting … Microsoft Word Table. However, you can see from this screenshot that you can automatically add a caption to pretty much anything. You can also see that you can automate the label, position and numbering system just like you can in the Insert Caption dialogue box when you’re doing it manually. However, doing it this way will automate the whole process. Your caption will appear automatically, as we saw in the first picture, and you just have to type in your caption text. 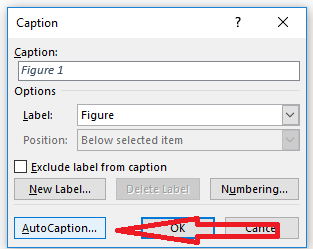 Once you have chosen your options, click OK and your AutoCaptioning will work as you want until you turn it off again. How do I remove AutoCaption? Now press OK, and you will have removed automatic captioning. This article has explained how to add or remove auto captioning in Word 2010, Word 2013 and Word 2016. If you’ve found it helpful, please comment below or use the sharing buttons to share it! 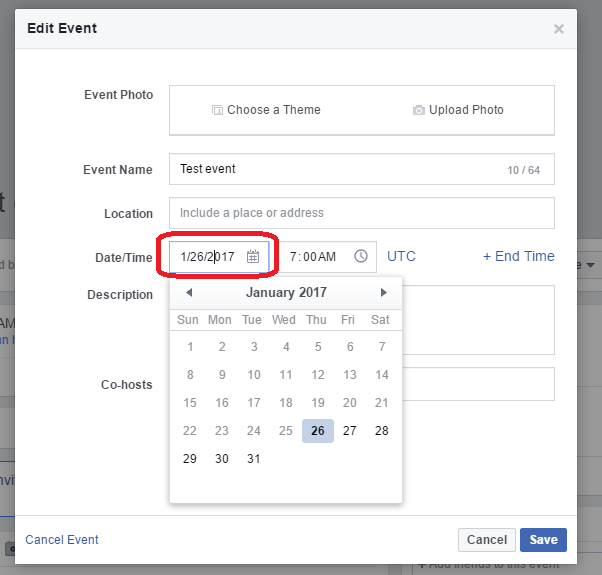 This article on how to cancel a Facebook event follows on from How Do I Create A Facebook Event? and other posts on Facebook events you can find links to below. 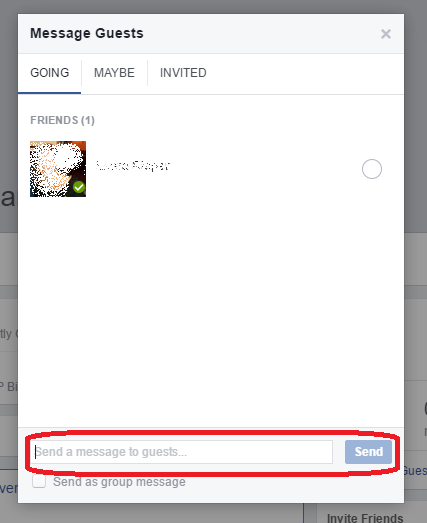 Why would I want to cancel a Facebook event? 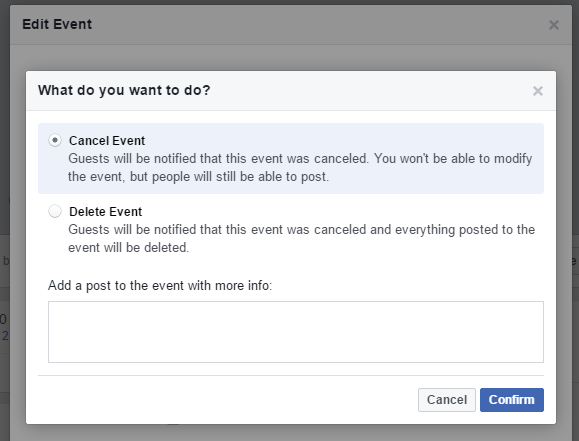 There are as many reasons why you need to cancel a Facebook event as there are reasons why you would cancel the event itself. 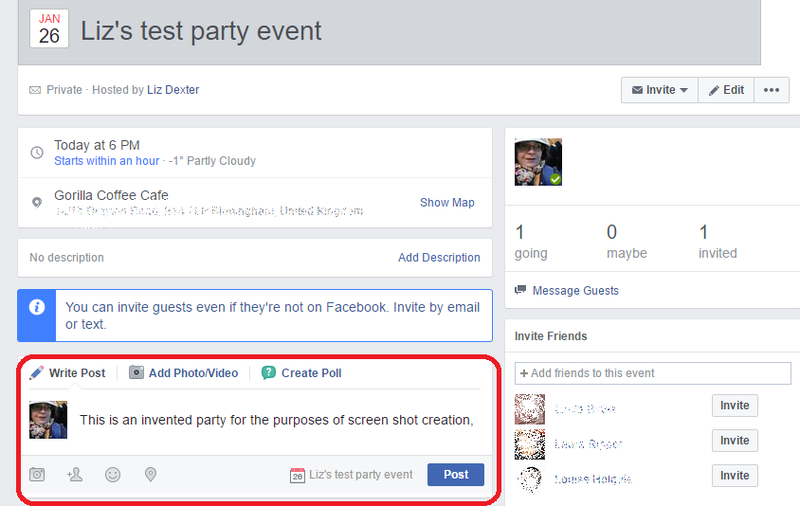 If you want to remove an event from Facebook (and tell the attendees it is cancelled), this article explains how. 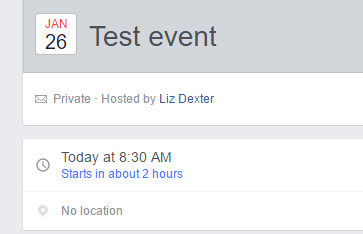 How do I cancel my Facebook event? 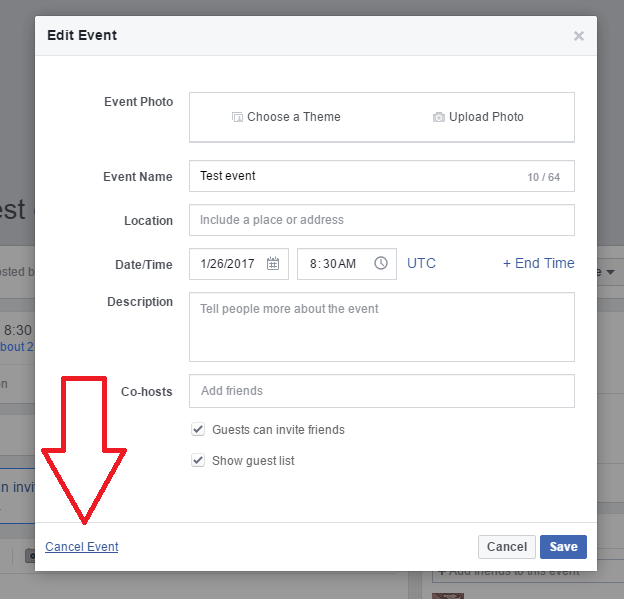 If you choose to Cancel Event, Facebook will tell the guests that it has been cancelled, but people can still post on the event. Click the radio button next to this option to select it. 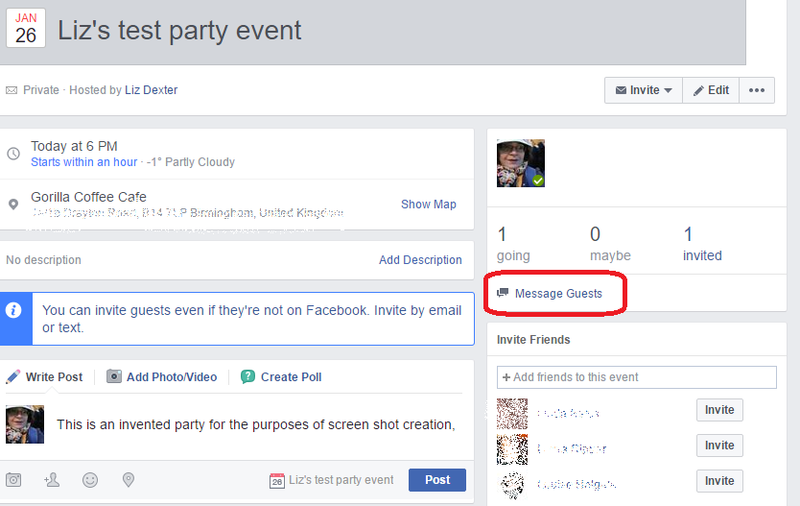 If you chose Cancel Event, you can also add a post to the event with the reason for cancelling in your own words: just type in the free-text box. Once you have chosen your option, click the Confirm button to confirm the cancellation. Clicking Cancel will cancel the cancellation – the event won’t be cancelled. Confusing, I know. So confirm the cancellation unless you’ve changed your mind. If you have cancelled – rather than deleted – the event, it will still appear in your Events feed, but it shows clearly that it’s cancelled. People can still post messages, which can be useful. You can’t edit it any further. 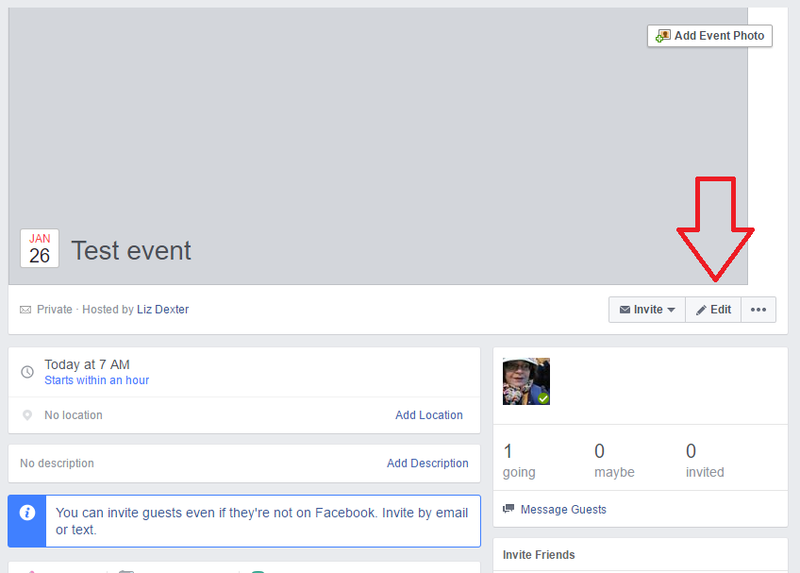 This article has explained how to cancel your Facebook event. We’re welcoming the lovely Jane Badger from Jane Badger proofreading and editing (she’s also a writer) to the series again today. We first met Jane in November 2013 and updated ourselves on her new business venture in December 2014 when she’d launched her editing business full time. When we updated again in January 2016 and I asked her where she wanted to be by now, she replied, “Still growing, I hope”. Short and to the point, then! Let’s see how she’s doing now. Pretty much. Growth has been unspectacular, but growth there has been — at least on the proofreading and editing side. My regular clients are all still sending me work, and the fact they are expanding is helping me too. I followed through on my plan to look at my continuing profession development, and took a series of courses run by the SfEP (Society for Editors and Proofreaders). That meant I could upgrade my membership of the SfEP to intermediate level, which was very satisfying! Writing is in an in between state. Writing anything has been difficult, as the increasing volume of paid work means it is difficult to devote the time to it that it needs. However, I’ve found an interest in railways that surprised me: I haven’t become a train spotter, but have started putting some pieces together on the horses who worked on the railway, and the people who worked with them. One blog piece, on women, railway horses and the war, hit a spark, and was my most successful blog piece of the year. I have also managed to complete a couple of smaller research projects that I’d been wanting to look at: horse stories published during World War II, and the horse stories published by Puffin books. The World War II project I did for a conference on girl’s fiction. I’d just about managed to retain my knowledge of how to present things from when I used to teach, so it went reasonably well. On the academic front, I was also part of a conference run by the University of Cambridge on horse stories: Pony Tales: Writing the Equine. That was an excellent event, where KM Peyton (author of the Flambards series) and Meg Rosoff (Astrid Lindgren Memorial Award winner 2016) spoke. Speaking at conferences was another of those things that I had thought were well behind me, so it was good that those opportunities came up. I’ve learned to say no to clients! I recently turned down a large and lucrative book edit because I felt the book was not yet in a state where it could be edited. I’ve also become better at recognising red flags for when clients might prove tricky: for example, a prospective new client initially said they were happy to wait for me to be able to fit their work in, but when they sent their test edit chapter, it very soon became obvious that waiting for me was precisely not what they were prepared to do. I politely declined the opportunity of working with them. At last, I managed to go to a local networking event where I met actual people rather than communicating over the internet. My plan is to carry on with local networking now that I have faced the fear and done it. One really useful thing that emerged from the event is that it’s not just about getting business for yourself, but also about looking out for the interests of everyone in the room. I’ve also set up a backup for when I can’t take work on, for whatever reason, and that’s worked well. I find it does give clients more faith in you if they know you can recommend someone else who is as good as (or better!) than you. What do I wish I’d known a year ago? I am always learning, and clients always provide something new for you to learn about. Fortunately, I am a member of a couple of internet-based groups who are very good at providing support and help if you have a problem. What question would YOU like to ask other small business owners? If you are an introvert, what do you find helps you to get out there and network? Get out there and look for support and help in whatever form it comes, whether it’s local business networking groups, or internet-based groups. I’m hoping to have some local clients. The SfEP courses I did were really worthwhile, and my plan is to work on upgrading to advanced membership through doing more training courses, looking in particular at developing my editing skills. I will get the rights back to Heroines on Horseback, my book on pony books, later this year, so am investigating how I’m going to proceed with that. Whatever I do, it will be a steep learning curve, so I’m looking forward to that. The Society of Authors runs workshops on e-book publishing, so I’m planning on doing one of those. Fabulous progress from Jane here. To pick up on a couple of points, it’s SO important to learn to say no – and so difficult. When you’ve only been going a few years, you tend to say yes to everything, just in case it all goes away. But saying no is important – both for you and the client, if you’re not going to be a good fit – and listening to that gut feeling is also vital. In addition, having a back-up is, in my opinion, vital. I have a list of people (including Jane!) who I refer clients on to if it’s not a good fit or I can’t get them into the schedule, and have a couple of people who cover my work in case of illness or holiday. Well done, Jane, and I’ll look forward to seeing how you get on this year.